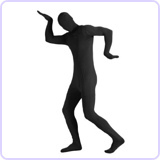 Always wanted to be invisible and came up with this Illusion of the Invisible Man. I had the Idea in my head but I had to convince my wife to help me do a lot of the sewing. The head turns and it lights up and when your look closer all you find is a empty pair of pants. The hardest part was creating the head so you could see through it and all of the movement with the head. Fiberglass was used to hold the shape of the head piece. My wife became the Invisible Man. It's funny when she comes out of Costume, people are expecting a man. Women love it when they see it's a girl. Is this being sold anywhere??!!! Awesome! Bill, you make some great costumes! please how did you make this tell me! Invisible Family members in the balance of photos ??? Please Please tell me how to make this.Would love to wear this I am a women people would love this especially when they think its a man! Wow, this costume is amazing. Well done sir. I can sort of see how it works after staring at it for 5 minutes, but how do you see?! Very well done, my daughter found you image on google and wants me to recreate your costume for her. Please, is there any chance you will share your How Tos, she is driving me crazy. My daughter is 12 yrs old and very much into well done homemade costumes, no store bought for her. In regards to comment #12 it takes me two months to build this Illusion. and it would take me 4 months to explain it to you. And than it would be a couple of years before you got it working. A fast way and very effective with your short time frame. You need a large suit jacket, so you can build false shoulders.This is to hide here head.This box you build to hide her head is what your going to attach a light aluminum bar that goes up to where the invisible mans head is and attach a hat and a pair of sunglasses.Tape the bar black so no one see it.All you need is the front and collar of a shirt to so in the Jacket. Happy Halloween ! I also want to re-create it, but I got a different idea. 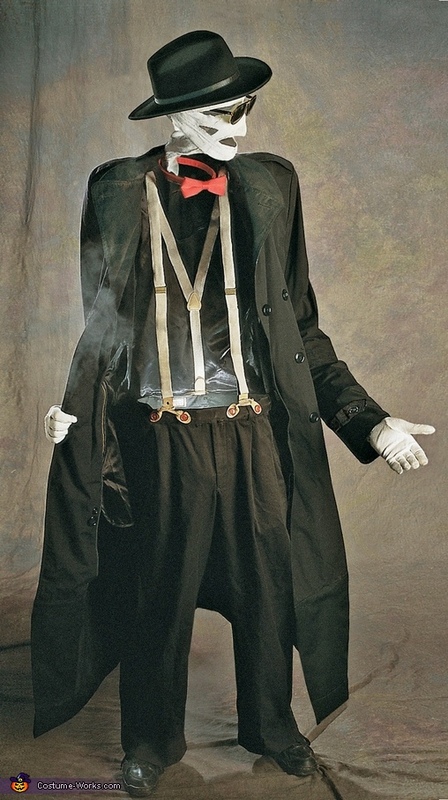 I am going to glue fake suspenders to a black shirt to create the optical illusion of the invisibility, and I'll wear the trench coat, gloves, and hat. So, there will be no trick where I'm not actually there, because I'm just wearing a shirt that makes it look like I'm not there. For the face, I have no idea what to do. Can I have some suggestions? In regards to #14 Pull your shirt and coat over your head. Have a black hat on that you can attach coat hangers so you can attach sunglasses and a hat above your head. Now your closer to being invisible. I love this! First costume in a while that made me do a double take. Ann it took us three years to make the work. and several years on top of that to perfect. E-mail me from my web site. I had a similar E-mail and lost it before I could reply. This box to hide her head, what supports it shoulders, head & how do the shoulders form & support? I'm an engineer (and a women w/sewing skills) and im a bit baffeld. Really super job, I can't wait to create my own please send brief basics on how 2. There are many variations that can be created to fit you needs. Send photos to billfreitag[at]mac.com and I'll see if I can tell where you need help. Took me 3 years to be invisible. OK I will thank you!!! 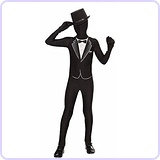 invisiblecostumes.com and go to the contact. Did you do a video how you made this costume? Was it you that won the comic con contest at Phoenix CC? I've been on a mad hunt to find a picture of you but it seems not many managed to catch one.. U sly invisible man you lol. Unless the winner was a recreate... I found you! Hey, join blue ribbon army on FB if it was you! It's a big friendly group for PCC lovers! 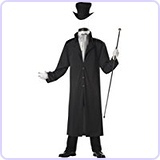 Melissa, yes this is the Invisible man you saw at Phx.CC I was surprised to how well everyone enjoyed the Illusion. How does the head turn? How do you control that? Thx.